Professional chefs love to talk about their favorite kitchen tools. And one tool that comes up often is the meat cleaver. Those I've talked to all say they couldn't live without it. If you have one, you probably relate to their enthusiasm. 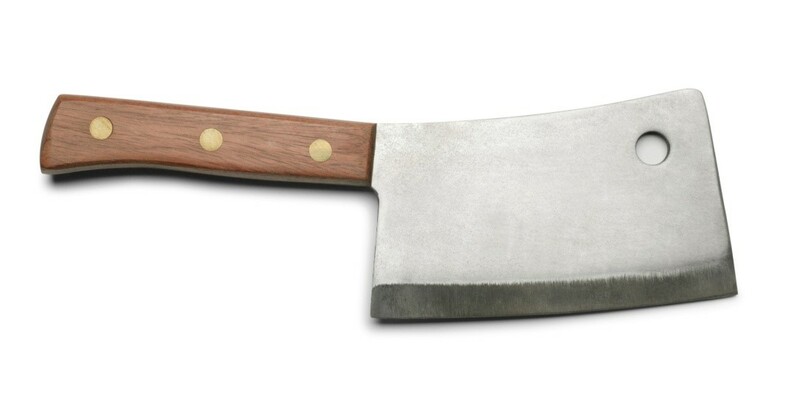 A cleaver is a large, heavy knife with a thick and wide blade. It varies in shape but usually resembles a rectangular-bladed hatchet. All of these things help make it the multitasking, indispensable knife that it is. A heavy cleaver can cut through bone and thick cuts of meat, but if you don't cut meat much, you can stick to a lighter weight cleaver. Heavy or lightweight, they both do a superb job of cutting. Whether it's cutting steaks for a barbecue or chopping vegetables for a stew, the meat cleaver is the right knife to make cooking and cutting easy. Originally, meat cleavers were made thick and heavy to help butchers and professional chefs cut easily through bones, either by hacking or swinging overhand. 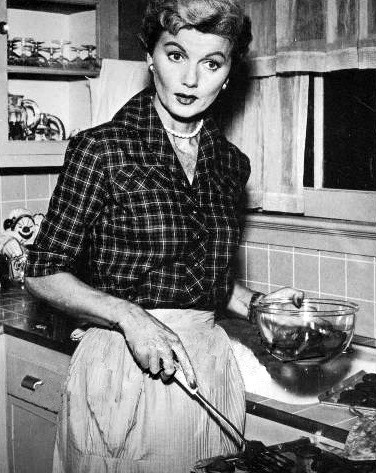 Then the common home cook found out how easily a cleaver separates spare ribs and cuts poultry into several pieces, and the rest became history. And the beautiful thing about a cleaver is that it's not just a cutting tool. It makes a terrific chopper, and you can even turn the blade around and use the back of the meat cleaver to pound and tenderize meat. Like any knife, they come in a variety of weights and sizes, so you'll want to find the one that best fits your hand as well as the jobs it'll be used for most. Since we eat very little meat, I didn't need the heavy duty type and decided on a cleaver that was a little smaller and more lightweight. And that leads to another point: Cleavers don't just cut meat. 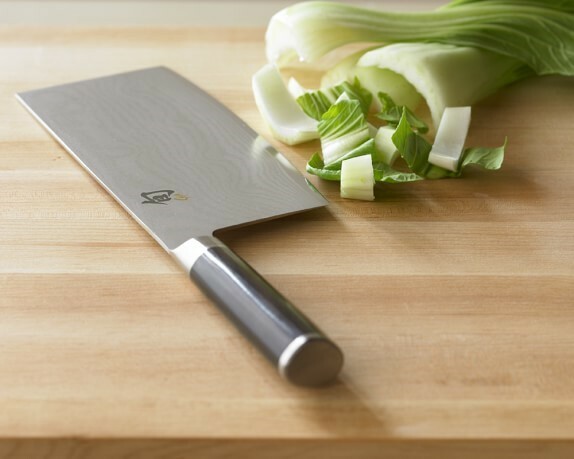 The right cleaver makes chopping, mincing, or slicing vegetables easier and faster, too. 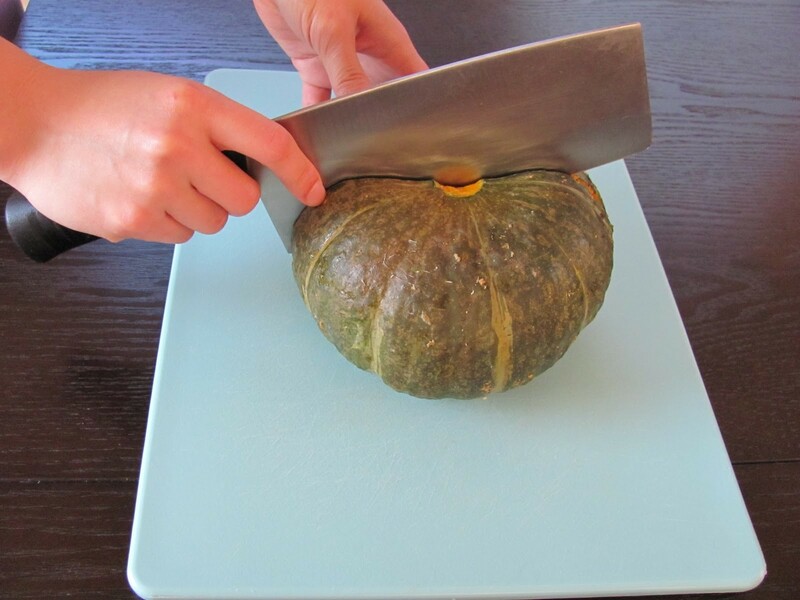 And a cleaver makes quick work of cutting through tough-skinned squashes. They can also be used for smashing food, such as garlic cloves. This technique is done by putting the cleaver on its side on top of the garlic clove and smashing it with your hand. Another great use for a cleaver is with fruit. While using it on fruit isn't that common, with larger fruits or fruits that have a hard outer layer of skin, a meat cleaver is the perfect tool for making clean and precise cuts. Watermelon, honeydew, cantaloupe, or the Asian fruit, Durian, are good examples of fruit that work well with the cleaver. And there are still other uses for a cleaver. 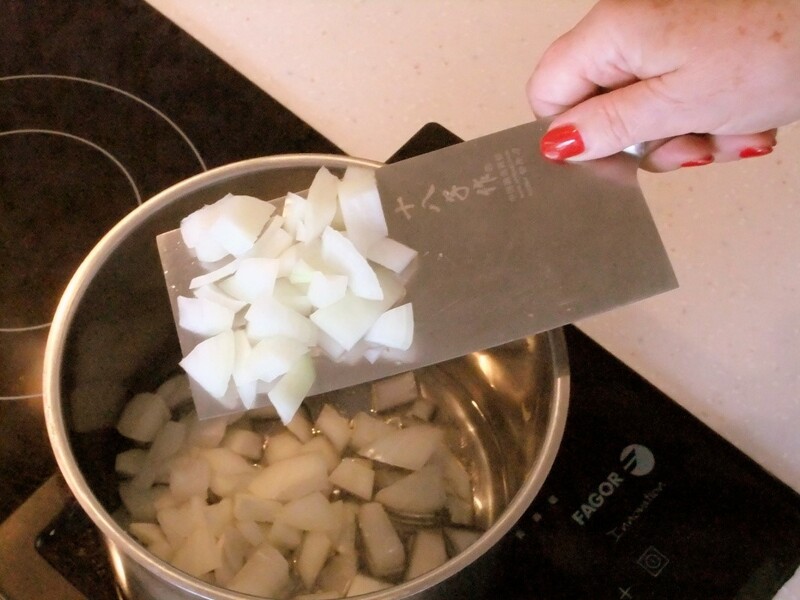 Because of the nice wide blade, a cleaver can take the place of a spatula for transferring food from one place to another. It's also perfect for scooping up food. I found a variety of cleavers on amazon.com for anywhere from $150 down to $14. Brands we know: Wusthoff has one for $90, and the Henckels manufacturer has a couple--one for $140 and one for $50, for instance. The pros all agree that the best way to choose a kitchen knife, cleaver or any other, is to actually handle it. And kitchen specialty shops are a good place to start your hunt for the cleaver that best fits your hand and suits your needs. I'll close by saying that this knife earns its keep as it saves the cook lots of time and energy. As a knife, there's not much it can't do. "Leave it to Cleaver" really is an appropriate title for this article.